Home » » Fox's GOTHAM TV Show will actually be a Smallville w/ Bruce Wayne! 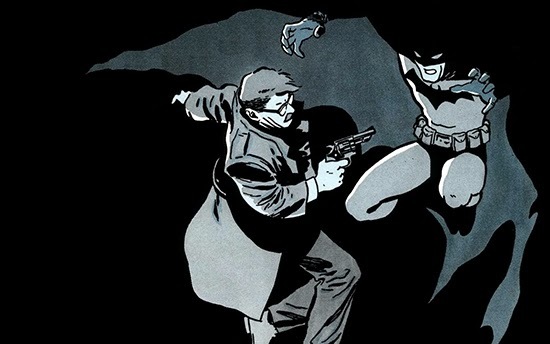 Fox's GOTHAM TV Show will actually be a Smallville w/ Bruce Wayne! Yep, its gonna follow Bruce from childhood to when he finally dawns the cape and cowl..not to mention all the main Gotham villains...this is gonna rock! from IGN: In the original announcement, Fox‘s drama Gotham was described as the origin stories of Commissioner James Gordon and the villains who made Gotham City famous. Fox chairman Kevin Reilly today announced that the series will include all of the classic Batman villains as well as heroes, including young Bruce Wayne. “The show will track Bruce from a child (around 12 years old) until he puts on a cape (in the finale),” he said. Also on tap are the Riddler, Catwoman, the Penguin. “We will see how they get to become what they are as Gotham is teetering on the edge,” Reilly said. “It is an operatic soap with a larger than life quality.” Reilly also confirmed that Gotham, originally bought with a series commitment, has a greenlighted pilot (Danny Cannon is directing), and is setting up a writers room in mid-February with the full intention to go to series. The series hails from Warner Bros. TV and The Mentalist creator Bruno Heller.